Am Chord Guitar - Explained! The Am chord on guitar, or also known as the A minor, is a triad composed from the A major scale. The most common ways to play it is in the open position, at the first fret, or as a barre chord in the fifth position. Since it’s a minor chord, it is often used in slow or mellow songs thanks to its dark sounding tone. Jazz chords are chord voicings that are commonly used in jazz music. 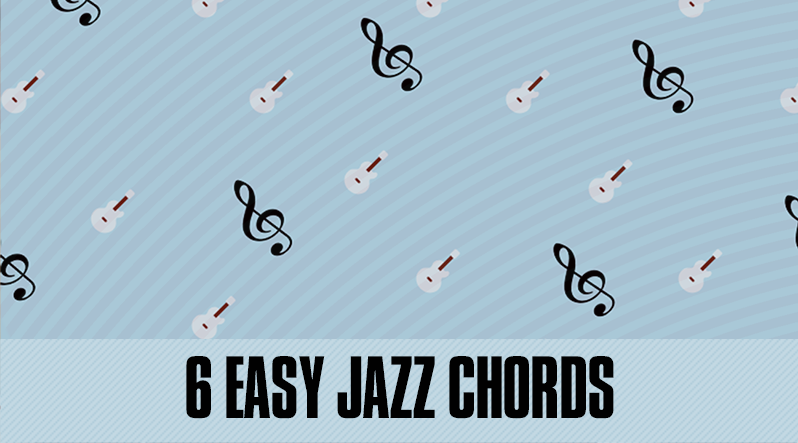 Technically there are no chords called jazz chords, but instead, jazz musicians generally like to use extended chords like 7th major and minor chords, dominant and diminished 7th chords, minor 7th flat 5, and 9th chords. 7th chords are triads but with the addition of one more note, the 7th. 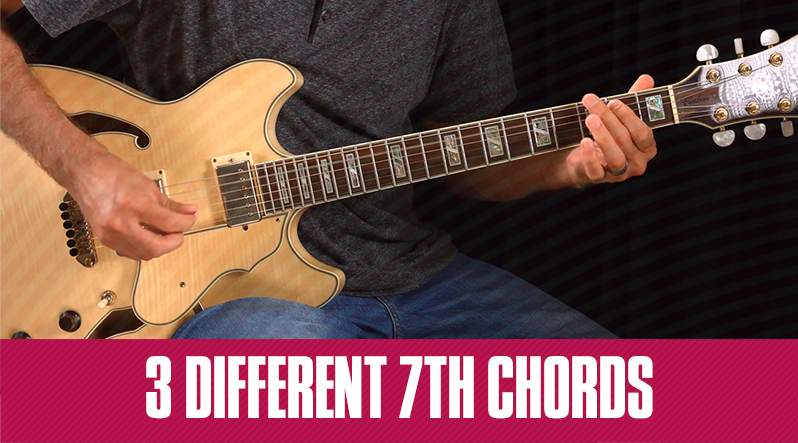 Common 7th chords are major 7th (Cmaj7), minor 7th (Cmin7) and the dominant 7th (C7). These chords are used in all genres of music including blues, jazz, rock and more. Dsus4 and Other Suspended Chords Explained! Suspended chords like the Dsus4 guitar chord, or an Asus2 are chords that can add some extra color or tension to an otherwise normal chord. To get a suspended chord, we replace the 3rd with a nearby scale degree, the 4th or 2nd. These chords are a lot of fun to play and usually only require the guitar player to lift or add one finger. 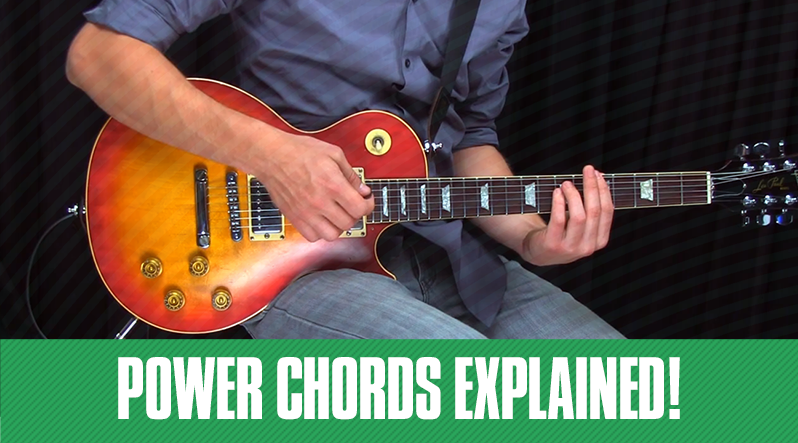 Power chords are the backbone of rock music. They're often used in rock music, and are also known as fifth chords. 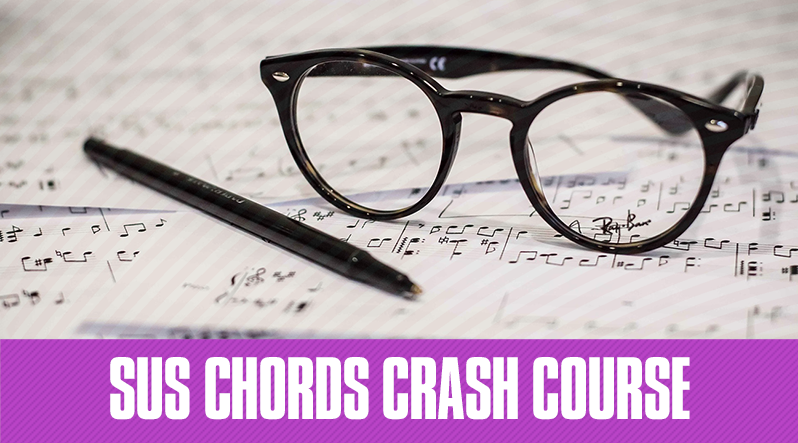 They're called fifth chords because they're made from the root note and the fifth. They’re beefy, often crunchy and are super simple to play because it takes only three notes to make these types of guitar chords. 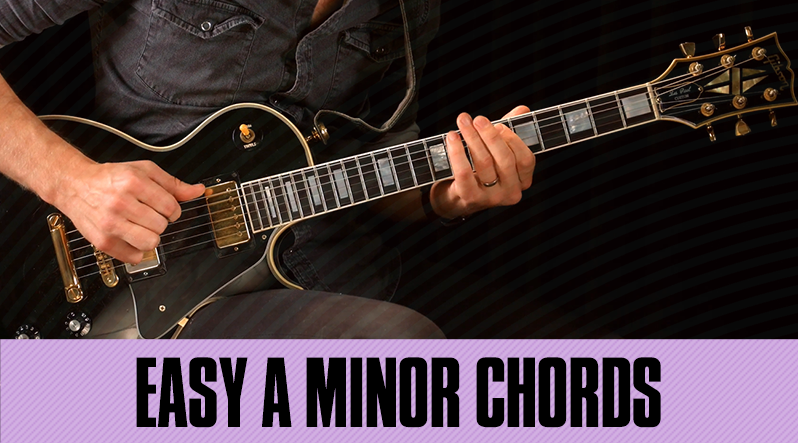 Here are 5 easy steps to learning and practicing these powerful chords.